“RELATIVE EXPOSURE | photographs of family” features the work of Nick Albertson, Matt Austin, Latrice Dixon, Aron Gent, Julie Jones, Heather Kouros, Natalie Krick, and Eric Pickersgill. The 310 conTEMPORARY Gallery is a collaborative project between the Columbia College Chicago Photography Department and the Hyde Park Art Center. This exhibition is part of Chicago Loop Allianceâ€™s Pop-Up Art Loop initiative. I’m a big fan of Matt Austin and his photographic work and for this exhibition I love the fact that he is the only one not showing work in a framed photo form. 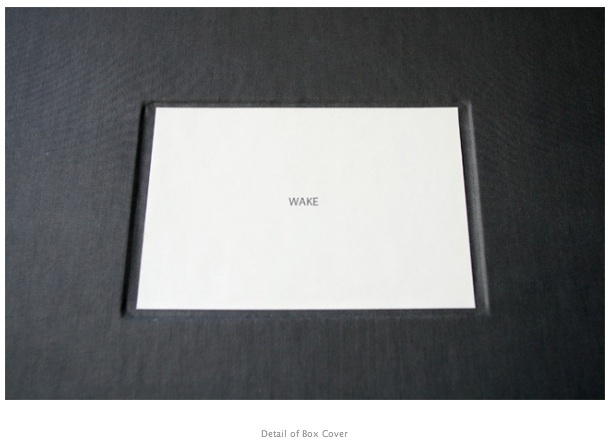 Instead, his artist book “Wake” will be on view (see images above)-Â a stunning hand-made box of loose prints and text. 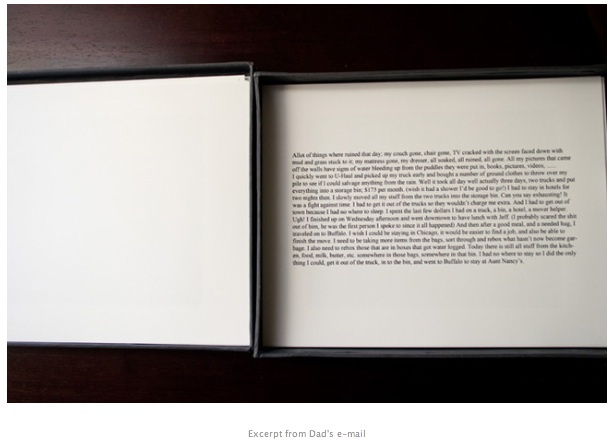 This format for presentation slows down the reading of the work and creates an intimate dialog with the viewer. 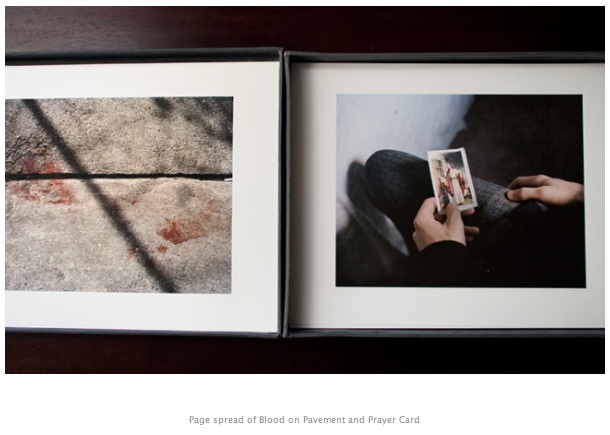 “Wake,” as well as three other titles, “Freedom Isn’t Free,” “Try to be more positive,” and “Desert Days,” can be found in the permanent collection of the Indie Photobook Library. And if you live in Chicago, copies of “Wake” can be borrowed for a two-week period. Love that. To find out more about Matt Austin, visit his website and tumblr, and read his recent interview at Geronimo Projects. You are currently browsing entries tagged with photobook at Larissa Leclair.